Madelyn Victoria | Texas Girl With Texas Sized Voice Sings Texas Sized Music! Madelyn Victoria grew up in the deep south of Texas, in Harlingen, performing in public for the first time, during a local Christmas Pageant, at age 5. She continued performing and singing throughout her youth, at local competitions and pageants, earning awards and recognition as one of the area’s top young performers. Her songwriting career began at the age of 13, after becoming the lead vocalist at her church. In 2007, Madelyn competed in the Modeling Association of America International Competition and Convention in New York, where she won the vocal competition, singing Sara Evans’ “Real Fine Place to Start.” That same year, Madelyn auditioned to perform with the Radio Disney Superstars of Dallas, was selected, and opened for pop boy band sensation, The Jonas Brothers. In high school, Madelyn studied both Opera and Mariachi, winning accolades in both categories, all the while honing her guitar skills. In December of 2012, Madelyn performed in Las Vegas (Planet Hollywood and at the NFR Rodeo) as the Shania Twain Sing-Off Contest Winner. Madelyn Victoria’s latest single release with Star 1 Records and MTS, is “He Only Loves Me on the Dancefloor.” It reached #1 on the national country AM/FM chart, New Music Weekly, winning an April 2016 Akademia Award for Best Country Song. The video reached the Yallwire.com Top 5 Most Watched Videos chart, and it was nominated for a 2016 Libera Award in New York City. 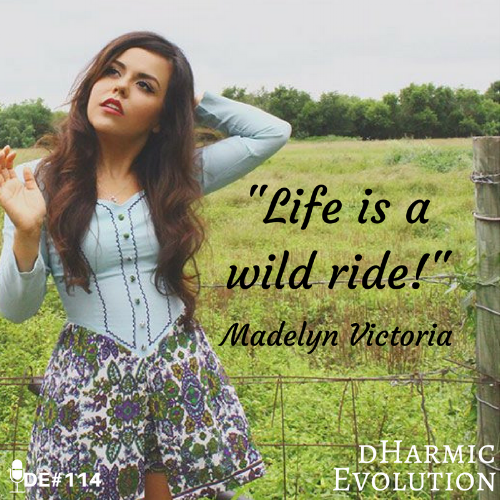 For more information, visit http://www.madelynvictoriamusic.com.